Listen to a podcast of this story. My mother passed away suddenly. She had some health concerns, but nothing life threatening, so it was a complete shocker. My mom lived her life well. Not perfectly, but well. She was a follower of Jesus Christ and stayed committed to Him during her entire life. During the days that followed her death, this reality was very apparent to her family as approximately 1,000 people came to either her viewing or funeral. So while I’m sad mom is gone, I’m blown away by how many lives she impacted. If you get the chance, pray for my dad…the days ahead will be especially sad and lonely for him. On the day of my mom’s viewing, Kathy and I rushed Kelsey, one of our twin daughters, to the hospital. I won’t go into all the details, but three or four weeks ago we notice a few, slight changes in Kelsey. Specifically, she was eating less, drinking a lot of water, and her energy-level started going down. At first, the changes were very slight. After a couple of weeks, however, things accelerated and got worse quickly. With all the chaos associated with my mom’s death, as well as with our kitchen being remodeled and our hardwood floors being resurfaced (our house was, and still is, a complete construction zone), we were not sure what was happening to Kelsey. We tried everything we knew to figure out what was going on until finally, in desperation, we took her to the ER at Gwinnett Medical Center. Within a matter of minutes they diagnosed her with Type 1 Diabetes (also called Juvenile Diabetes). The situation was so serious that Kelsey was close to slipping into a coma. She was hospitalized for four days and all our training for managing Type 1 Diabetes started immediately. 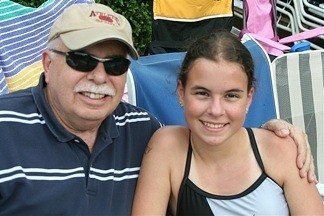 Kelsey with my dad at her first swim meet after my mom passed away and Kelsey was diagnosed with Type 1 Diabetes. Our lives obviously changed dramatically within a matter of days. My mom will no longer be with us here on earth. Additionally, we are now a family learning what a “new normal” feels like. There is, of course, mourning and sadness. We have all shed tears during the past several days because Gramme is no longer with us and because Kelsey now has a life-long desease that, while she can live a normal life, requires constant monitoring along with multiple finger pricks and shots on a daily basis. Yet again, Kathy and I feel as blessed as we’ve ever felt. EVER! One of our philosophies in life is we are seldom in control of what happens to us, but we are always in control of our responses. 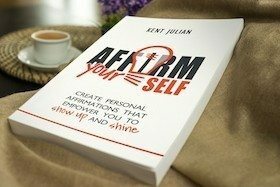 In fact, the attitudes we embrace and the responses we choose are basically the only things in life of which we have 100 percent control. This is what I speak about and write about, so if I’m going to inspire and equip others about how to stay positive and hopeful no matter what they face in life, I better be living this truth myself. 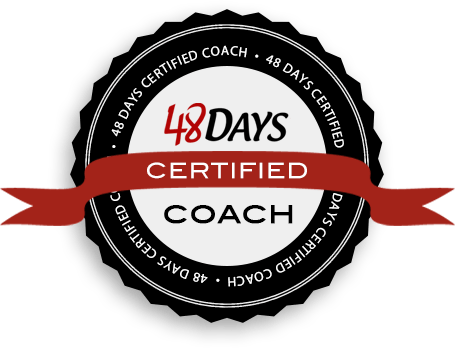 To be excited about leading Kelsey through the range of emotions she will experience because of this challenge. We know she will feel sad, scared, disappointed, and confused because, as parents, we are feeling these emotions. However, we also know that as time goes on, Kelsey can choose to be optimistic and see her new life as something special and unique. What a great opportunity for Kathy and me to encourage Kelsey, as well as Christopher and McKenzie, through new challenges and opportunities we could never experience without having a family member with Type 1 Diabetes. We choose to believe there are new adventures ahead for all of us. To know that Kelsey will be an overachiever, which she has always been. One of my nicknames for her is “Competitive Princess.” If you know Kelsey, you know she is sweet, quiet, gentle, and kind (i.e. “princess”). Yet only those closest to her know that while quiet and gentle, she is also driven (i.e. “competitive”). Hence, my nickname “Competitive Princess.” I think that nickname will fit her even better now. To understand how BLESSED we are to live in the USA. Kathy grew up overseas in a third world country and knows how hard it would be to support a child with Type 1 Diabetes if we lived in a different place. I’ve led over a dozen short-term youth mission projects and have seen this reality as well. It’s much easier to stay positive during tough times when you realize your circumstances could be significantly more challenging if you lived elsewhere. To understand the AMAZING communities which surround us. Stonemill Church, the Stingrays Swim Team (the team I coach), Jackson Elementary School (where Kathy works), entrepreneurial networks like 48Days.Net (a network I am connected with through my business), and many of the people I’ve connected with over the years as a professional speaker have been amazing during these past few weeks. I could write so much more, but are you beginning to see why we feel so blessed? While we would not choose Type 1 Diabetes for Kelsey and we know she would not choose this path for herself, we do choose to accept it and believe Kelsey will do the same. But even more, we don’t just choose to accept it, we choose to embrace it! To experience life in a new and better way because of it. To choose, by faith, to know that God has Kelsey’s very best in mind. 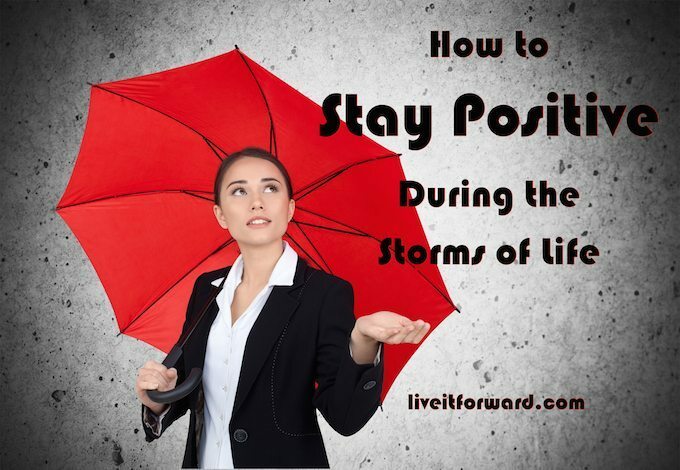 To sum it up, we have experienced, once again, that choosing to live it forward is how to stay positive during the storms of life!